Music is a particularly evocative art form; an old song might remind you of a long-forgotten romance, a holiday in the Mediterranean or a relative you haven’t seen for a long time. Trends show that particular genres of music can influence certain groups of people; so how can you use this knowledge to grow your sales? In this article, we are going to look at how you can use music to create the ultimate lift experience. The type of music you should be playing in your store (and lift) will vary depending on your target audience. In one study published in 2007, it was found that playing classical music in a wine store increased sales, as consumers purchased more expensive merchandise. If we think about why this might have happened, we can come up with various explanations. One might be that the classical music inspired upper-class behaviours in its consumers, who then acted in response to the atmosphere by spending more on top-quality wines. An alternative way to understand this behaviour is dependant on the audience that the wine shop was already attracting. If the same people who drink expensive wines also listen to classical music in their free time, then playing classical music in-store, might have made the consumers feel more comfortable. If your consumers are happy, then they might spend longer browsing your store and be more inclined to make a purchase. Playing classical music in your store (or lift) might not be the solution for every business. It’s unlikely that a trendy clothing shop for teenage girls would get much out of Mozart; it could even lead to a decrease in their sales, if the teenagers viewed the music choices as ‘uncool’ and started shopping elsewhere. Some of the big factors are the accessibility of items (no shelf too high) and aisle width, but music has its own role to play. One speculation is that by playing music that reflects the interests of your target audience, you will be improving the time they spend walking between aisles and queuing. In an age where more and more consumers are turning to online stores, crafting a pleasurable in-store shopping experience is all-important. Choosing the right music can really affect your sales, so think before you blast your personal favourites store-wide; it could make or break your business. When it comes to lift music, you have some similar decisions to make. First and foremost, you should always be thinking about the customer. Creating an atmosphere that they feel comfortable in should come above all else, because customers who feel comfortable are customers who will come back to your store. To create the perfect lift experience for your customers, you should try to aim for a fairly spacious lift. After syncing the design of your lift up with your store’s brand, you might next turn to music. 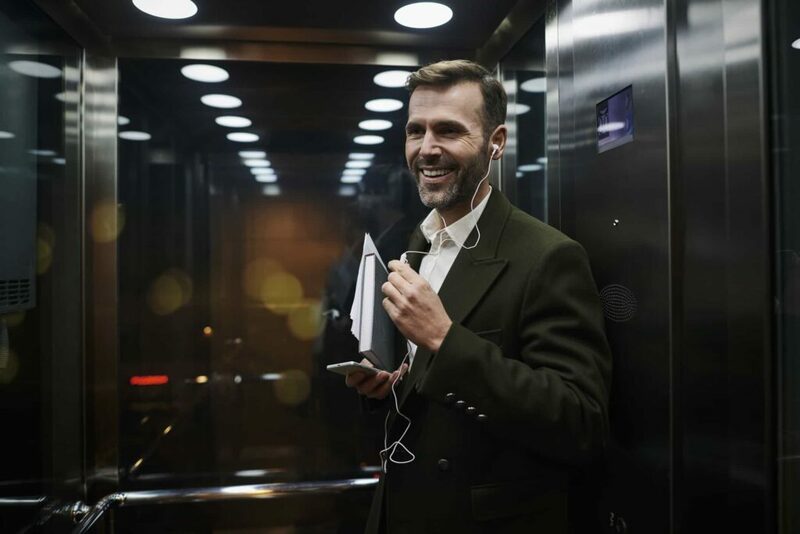 When thinking of ‘lift music’, you will likely be thinking of fairly simple tracks without lyrics; most stores that use music in their lifts aim for it to work as a background to the rest of their space. Lift music usually aims to be something that can be listened to passively; not a track that demands the listener’s full attention. If you owned an expensive wine store like in the study, you might look to fill your lift with a mellow classical piece that will help your customers to relax. If you’re the owner of a trendy clothing shop for girls, however, you might take a chance on a jumpy instrumental with a funky rhythm. Background music also benefits groups of consumers who are shopping together. If your customers are mid-conversation when entering the lift, you want to avoid interrupting the good time that they are having. Songs with lyrics might be too distracting in an enclosed space and interrupt the conversation, whereas background music doesn’t intrude, but quietly improves the passenger’s mood. This is always an option, but not one that is highly recommended for positive passenger experiences, and so it is best avoided. You might think that lift time is a chance where you have your customers cornered; on the TV they could mute your ads, on YouTube they can be skipped, but in a lift, there is no escape. However, playing adverts in lifts removes any veil of subtlety between you and your customers. At this point, you are no longer selling a wonderful shopping experience and instead are simply shilling your products. 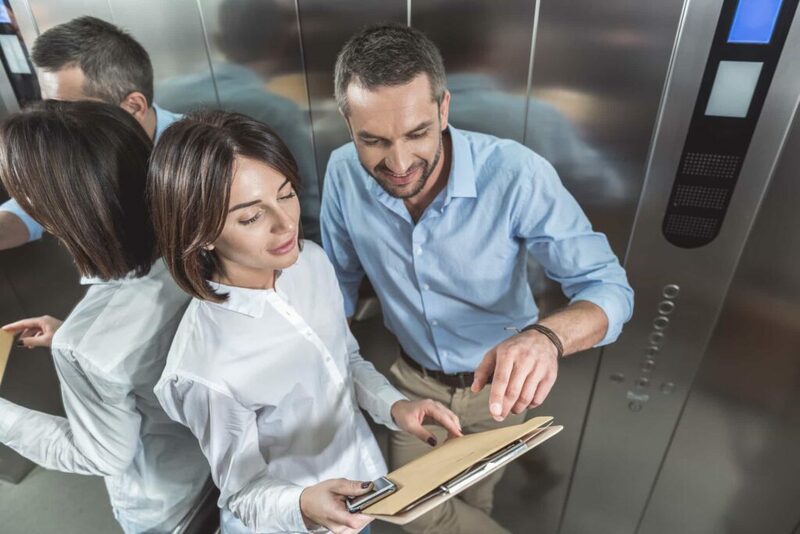 No-one wants to get stuck in a lift at any point in their lives, but there are certainly some lifts that would be far more enjoyable than others; if you would happily spend half an hour in the lift you are putting in your store, then it’s probably the right choice for your customers, too. If you were playing store adverts on repeat during that half-hour though, your opinion of the lift might change rather drastically for the worse. Instead of switching mood-lifting music for adverts, we recommend using flyers on the inside walls of your lift cabin. This will show your passengers the best deals you have to offer, without overwhelming or pressurising them. If you’ve been listening to a lot of background music while working, and you think that you’ve found the perfect piece to accompaning a lift for your store, why not speak to us about the design possibilities of our passenger lifts?